Drumroots have a wide choice of djembes for sale, ranging from beginners’ instruments to the best-quality drums for advanced players. 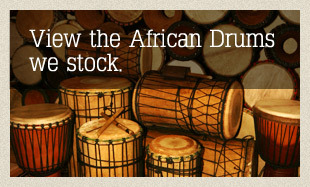 If you're interested in buying a djembe, come and play the drums of your choosing from our extensive stock. We also sell top-quality, durable djembe bags. Our current stock includes Senegalese djembes, which are well carved and with excellent skins, creating a magnificent and resonant sound. 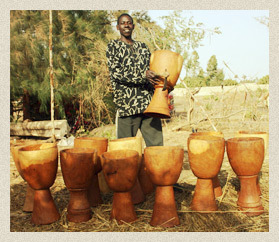 We also stock djembes from Guinea, made from high-quality Lenke wood and finished by celebrated drum carver Lye Konate. Featuring unique decorative carvings, these beautifully made instruments are very special and hard to find. West Africa. 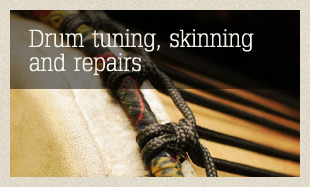 Some drums arrive ready to play, whilst others require hand-finishing and skinning by our Drumroots experts. They are then tested and tuned to ensure optimum sound.